Amidst the evolution of evidence introduced in Massachusetts’ divorce matters, some parents find that what they post online or text message to friends or family can impact custody decisions in court. In fact, the contents of the other parent’s Smartphone may provide key substantiation of improper conduct. These new devices and online venues have forced divorce attorneys to become more ingenious in their discovery efforts during their client’s divorce case. A Smartphone is a treasure trove of personal data that can be stored for long periods of time, even years, and can reveal much about the other parent’s moral character and activities. A recent news article discussed the kinds of information that divorce attorneys can use by obtaining evidence from the other parent’s Smartphone use. In addition to storing content like photos and videos, Smartphones might contain a user’s Internet browsing history, calendar entries, calling history, and other information about the user’s activities. One of the biggest things that individuals should be aware of, that could interest the other parent’s attorney and the family law judge, is what they are saying about the other parent. This can be an important deciding factor in a child custody case. Information about the other parent could take many forms, including the contents of text messages, voicemail messages, emails, and social media posts. There are other types of information that can affect the outcome of a divorce case. The former spouse’s divorce lawyer will be searching for evidence, depending on the state, of another spouse’s extramarital activities or other behaviors, such as hiding assets. For example, a person might not be careful what he or she describes on a website like Facebook or Twitter like giving money to another relative or friend to hide. As sources indicate, when “private misbehavior now becomes permanently public,” it is easy for lawyers and courts to determine which spouse is telling the truth in certain arguments. 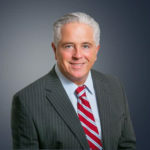 Attorney David M. Gabriel is an experienced family law and divorce lawyer and certified mediator who has been practicing for more than 25 years. He is well-known and well-respected among peers, judges, and court personnel. From offices in Beverly, Salem, and Burlington, he serves clients throughout the North Shore area. Is it true that Massachusetts courts favor mothers in child custody decisions? Child Support Guidelines – What are they? How have they changed? Can I bring my significant other or children to my court hearing? Contact us to speak with one of our divorce attorneys. © 2019 by David M. Gabriel & Associates. All rights reserved. Fill out the form below and tell us your story.